Now Building In The Spring Months! Order Your Shed Today For A Fast Turnaround! 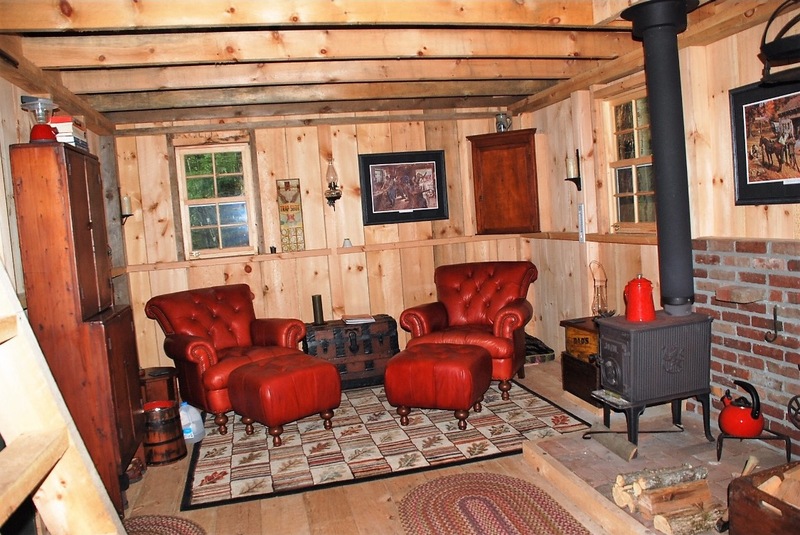 See What Our Customer Did With His Custom Built Shed! We’re on the radio! Have a second to listen to your favorite provider of custom built sheds in the New England area? Give our ad a listen and let us know what you think! Join Ponderosa Pines Wood Products at The Topsfield Fair from Sept 29- October 09 of 2017! There, you’ll be able to view a shed in-person, and learn more about our pricing and features! Though a shed in your backyard is simply a place where you can store tools and other items that you use for your garden or home exterior, it can still greatly affect the overall look of your home. You don’t want a shabby-looking shed in your perfectly landscaped garden, of course. 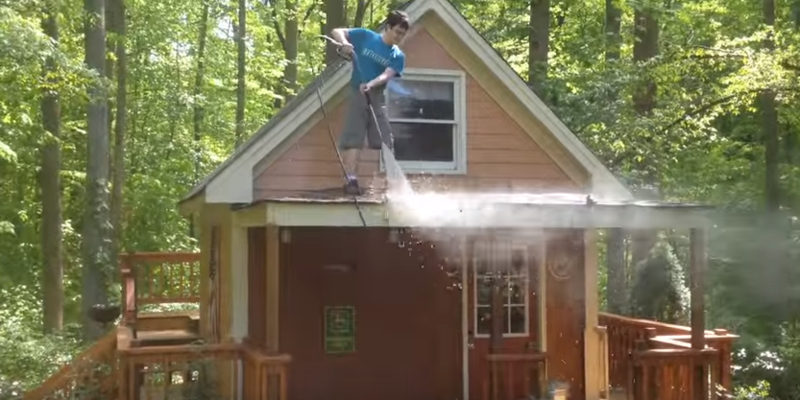 Now, the good news is that you can repaint this shed on your own without having to spend a few hundred dollars by hiring someone else to do it. By following the simple instructions below, you will soon have a charming shed in your backyard that you will surely be proud of. Wait for a good day though. You don’t want your painting job to be destroyed by a sudden downpour so better check the weather forecast. Unless you work really fast and you have primer and paint that dries really quick, repainting your shed will take at least 2 days to complete. You need 2 consecutive days though otherwise you may need to repeat a few steps over again. Read on and find out how to repaint your shed like an expert! Before you even begin painting, you need to make sure that all part of your shed are smooth and clean. Common sense dictates that in order for you to effectively clean the shed, you need to wash it and not just wipe the dirt off. A garden hose could help you do that especially if has a handle that allows you to adjust the pressure but that may require a lot of time, effort and too much water. However, if you have a pressure washer, you can get rid of all the dirt in no time. A pressure washer is actually a good investment because you can use it not only this time, Wash Wisely shows us that a pressure washer comes in handy for a lot of tasks. For instants for cleaning your car, your driveway and even your home exterior. They also provide you with a lot of information on the use of the pressure washer as well as giving you advise on the different types of pressure washers so it can help you choose the right pressure washer. Unless you’re perfectly fine with bumps and uneven surfaces on your shed which doesn’t exactly look good, you need to go through the sanding and scraping process. Whether you have a wooden or metal shed, you still need to do this otherwise the paint wouldn’t apply well on the surface. Wash the shed again right after and let it dry. Cover the surrounding areas with newspaper, if needed. Before a painting job, you need to make sure that you won’t paint on areas that need not be painted. Use newspapers, some rocks to hold the newspaper down or masking tape to keep it attached. If you want paint that would last, priming is a must. You can easily purchase a primer along with the paint from a hardware store. If your shed is made from metal and there are already areas with rust, you can actually find primers that are also rust converters at the same time. Primers help make paint last longer and adds protection on the structure being painted as well. Make sure you let the primer dry before applying paint. Read the label on the can and follow instructions. Some primers take just a couple of hours to dry while others may take 8 to 10 hours. It’s really up to you what you find most comfortable—spray, brush or roll painting. Spray painting is a lot quicker though and it allows you to paint even hard to reach places. If you plan on using a paint roller, make sure you still have a brush so you can paint edges evenly. Just let the paint dry and be proud of your beautiful finished product! 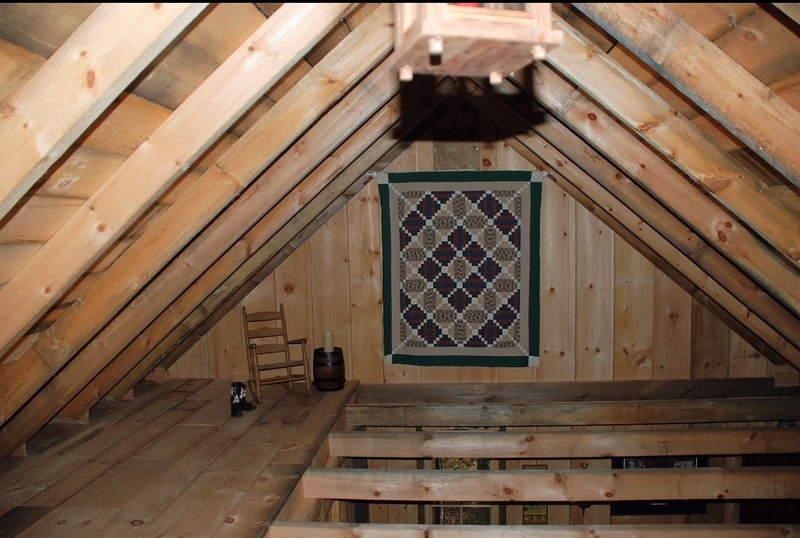 A wood shed is much better for storage especially in a place such as New England. New England winters can be quite harsh and normally receive a great deal of snow and ice throughout the winter months. With other, lower quality sheds you run the risk of damage to the shed as well as the items that your store inside. 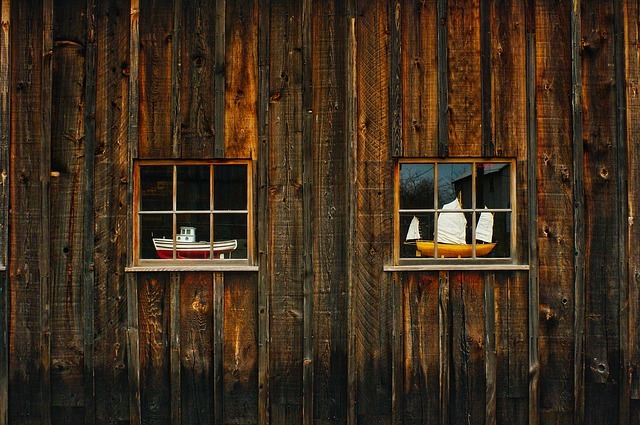 When it comes to the New England area, wood sheds offer the highest quality. It is not uncommon for New England to receive 2-3 feet of snow with just one snowfall. 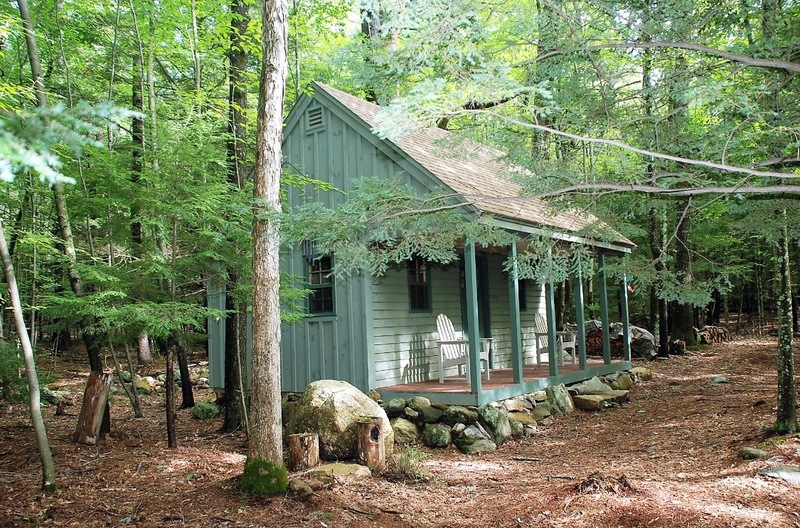 Therefore, a custom wood shed would hold out much better, weather wise, in New England. Wood has the ability to be flexible as well as hold a sturdy base against heavy snowfall. Aluminum or metal sheds are prone to rust when they are in contact with liquids such as rain and snow. Once metal rusts it may begin to corrode and eventually it must be replaced. If left untreated the structure can begin to weaken and you run the risk of further damage. However, a wood shed will withstand harsh temperatures and of course wood will never rust. Sturdy wood will withstand snow and ice conditions much better than aluminum or metal. Wood is also a better material when it comes to insulation. 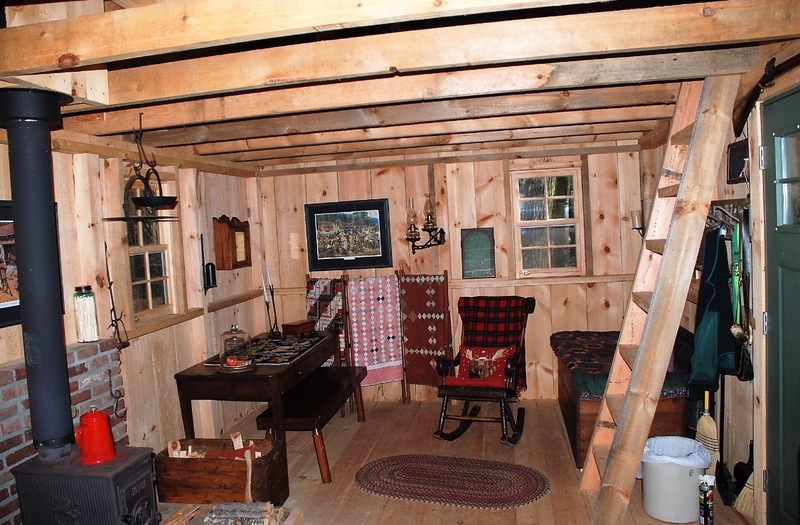 A wood outdoor shed may actually cause the temperature inside the shed to be a bit warmer. 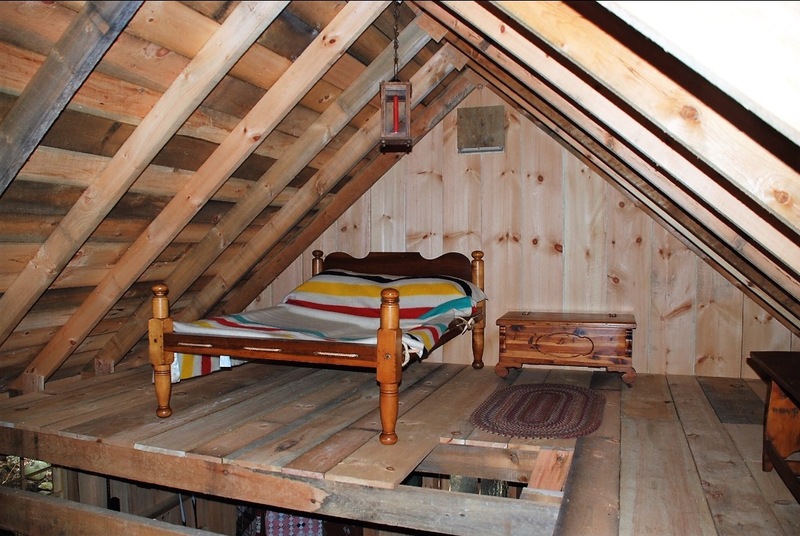 Therefore, whatever you decide to store in a wood shed may keep better against the harsh conditions. 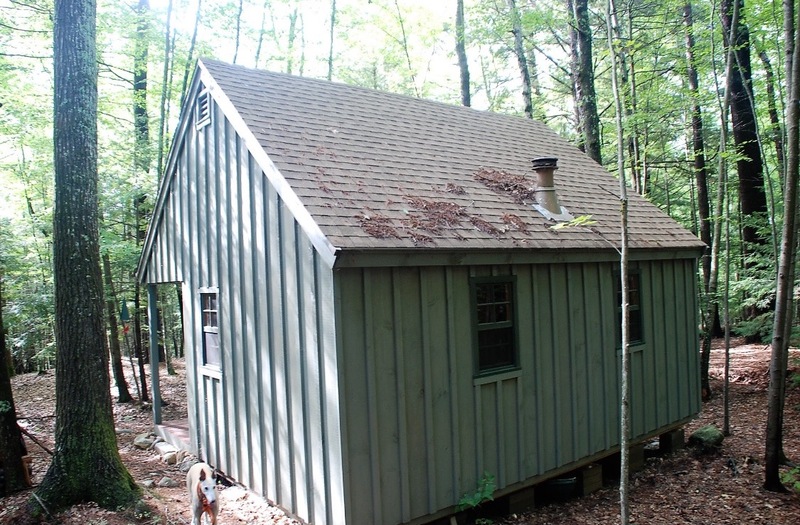 A custom wood shed is certainly a much better choice especially in an area such as New England. A wood shed would certainly prove to be a much better investment in the long run. 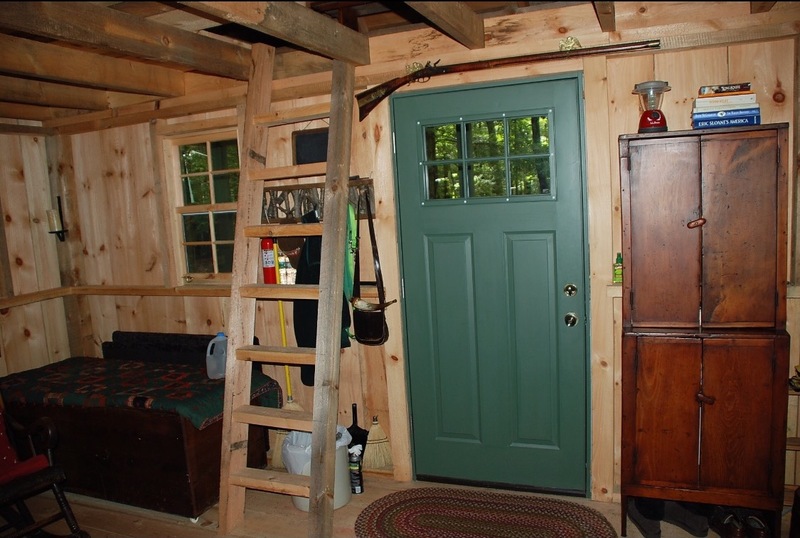 Keep in mind a custom wood shed can be made to meet an individual needs and expectations. Get started today by receiving a free quote and visit our website for a complete list of services. If you are looking to add a shed to your backyard there are many options to consider including the cheap pop up sheds you can buy at any home garden store to high quality wood or metal sheds. While the right choice will depend on many factors including your budget, home location, and intended usage of the shed, custom wooden sheds are generally the best option for homeowners in the New England area. Pop up sheds have one advantage over custom wood sheds; their low cost. However in the long run you often get what you pay for and the items that you store in a pop of shed are more likely to be damaged than if you kept them in a custom wooden shed. 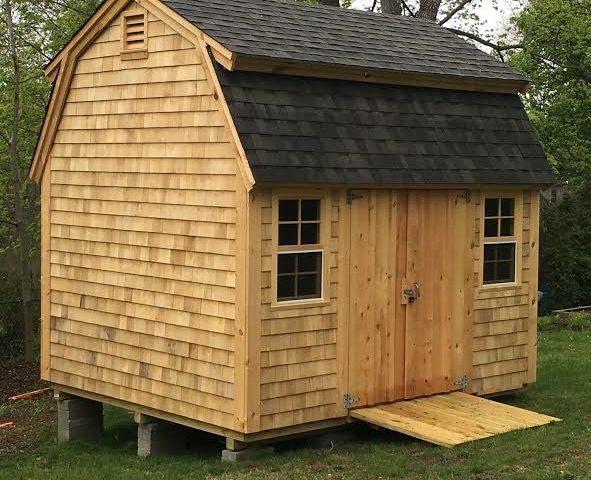 Having wooden sheds New England location can prevent winter damage to lawn mowers, power tools, and even garden supplies which might otherwise not brave the elements. A custom designed wood shed will better protect the property you own and can extend their life, thereby saving you money in the long run. Your needs are not the same as your neighbors and there should not be a one size fits all solution for your sheds. Wooden sheds can be customized to fit your individual needs and can be made bigger and smaller to fit your property space. Some New England homes have extensive yards that can hold large sheds while others have small square footage and need to utilize every spare space. A custom wood shed can best make use of the space available to your needs than the pop up shed you buy from a store. Wooden sheds add an attractive space to your home, rather than the cold industrial space of a pop up shed. This investment can pay off by improving on your property value and providing a more attractive and interesting home. In addition, wooden sheds are longer lasting than pop up sheds and therefore don’t need to be replaced as frequently allowing you save money. 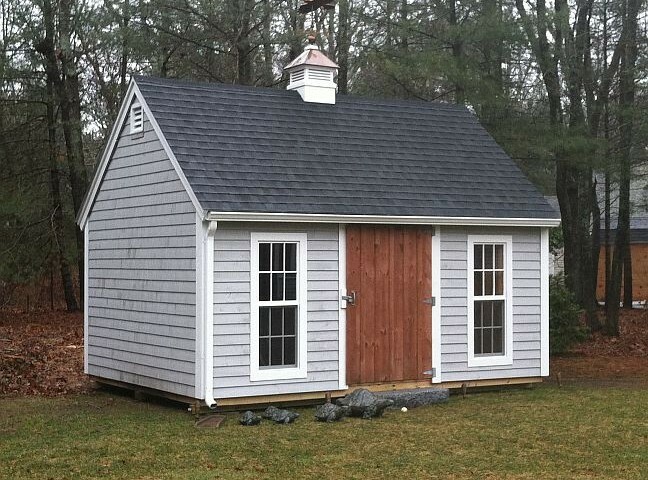 Get started today with a free estimate on any custom shed in the New England area. Having the option of fresh farm eggs conveniently located in your backyard is one of the best ways to start each morning. The only way to get this, however, is if you raise and house your own chickens. Having them loose out in the backyard can leave them exposed to the elements and harsh seasons of New England. One way to combat this and ensure that your livestock is well maintained is through a custom built chicken coop. Whether you are looking to house chickens, goats or horses, one of the biggest priorities is providing a clean and comfortable environment for the animals. We have the proper knowledge and ability to meet any specifications to ensure that all your livestock are comfortable and safe from the elements. 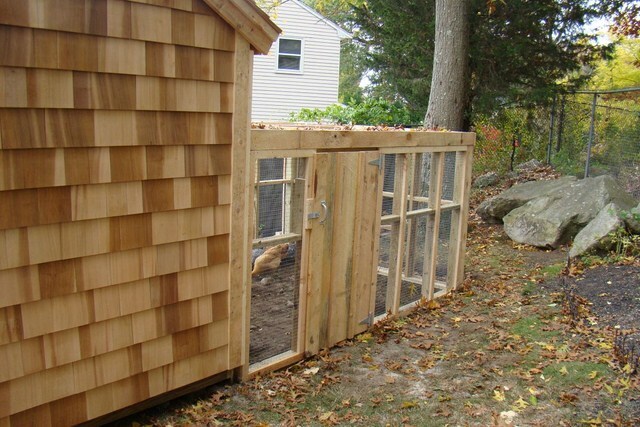 We make sure to design each custom chicken coop for your convenience. We make entry ways for the animals to come and go as they please as well as the ability to secure the coop each night. You will also be able to walk into the coop or shed to clean it out and properly maintain it as needed. All sheds and custom chicken coops are constructed with your style in mind. We aim to create an aesthetic shed that fits in your decor or to your specifications. 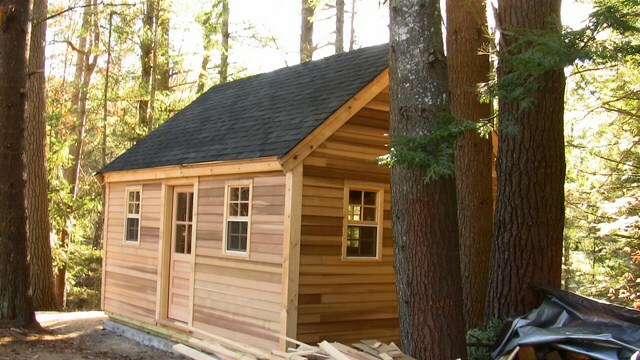 We utilize high quality wood and materials to ensure that your sheds will last for years to come. Through simple maintenance, you will be able to keep your sheds looking brand new. Get started today and contact us to design the perfect custom shed to fit your home. 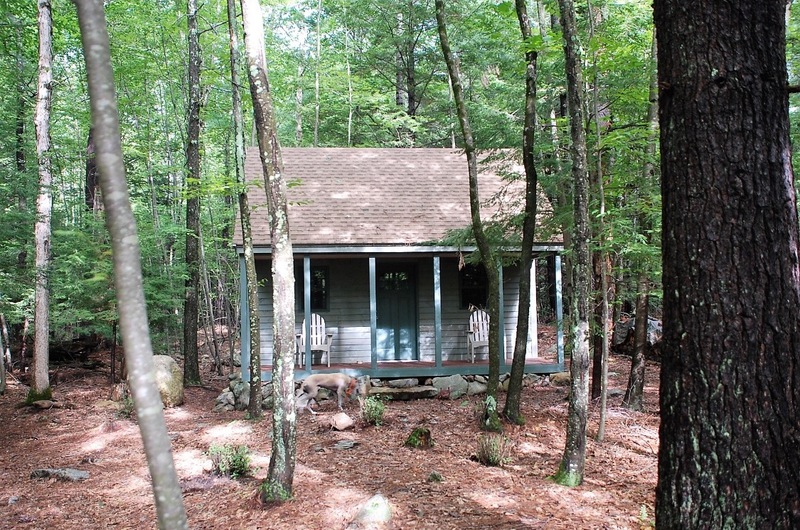 Getting out in the woods and staying in a cabin brings your family together and a chance to bond in a cozy environment. It could be nice to get that feeling anytime you want without having to drive out in the middle of nowhere. With our custom outback cabin, you will get the setting of the outdoors with the convenience of being a few feet from your home. 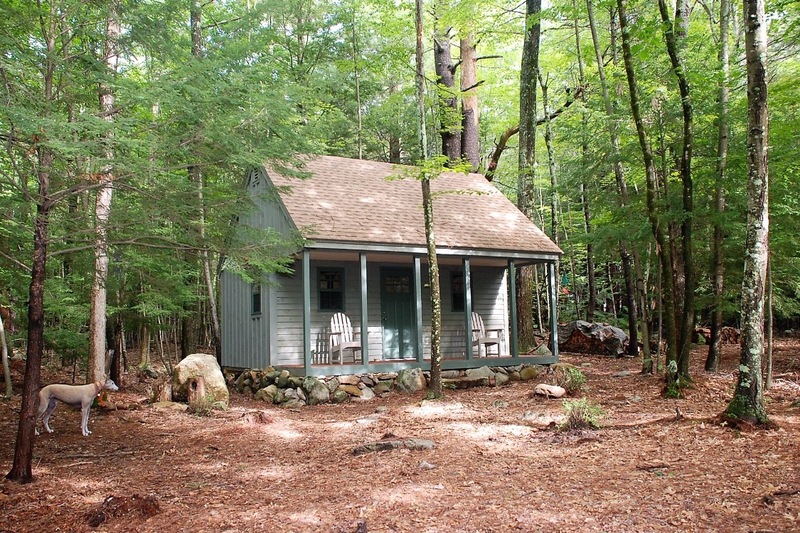 Check out the many benefits of owning a custom wooden outback cabin from Ponderosa Pines. With Ponderosa Pines, we are able to custom create the perfect outback cabin or guest house to fit your property dimensions and offer you the most space. All specifications are up to code and offer an authentic feel to your guests. All of our wood cabins and outback sheds are constructed with wood finishings to give an authentic look and feel. 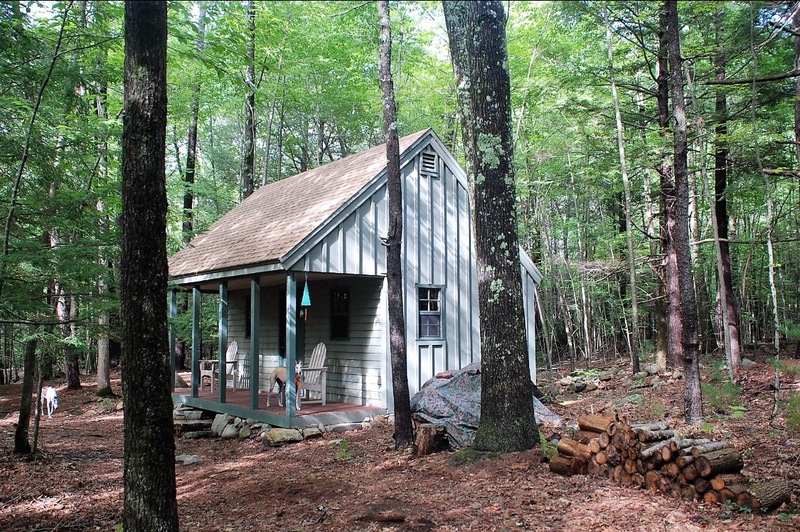 New England offers the perfect weather conditions to house wood structures that will be able to last for many years to come. With just a simple maintenance routine you will be able to ensure that your cabin lasts throughout any conditions. Whether you live on the outskirts of town of directly in the middle of all the busy action of the city, you will gain the feeling of an outdoors feel with our custom wood sheds and cabins. 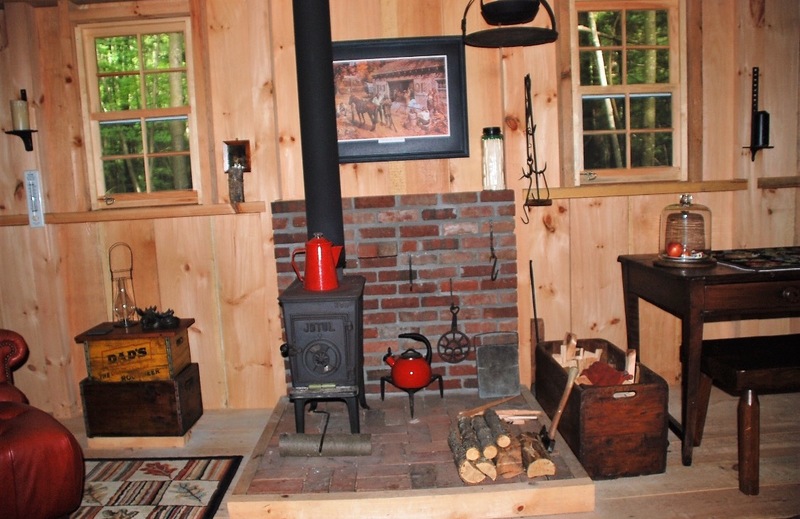 Wood works and cabins have been around for many generations. 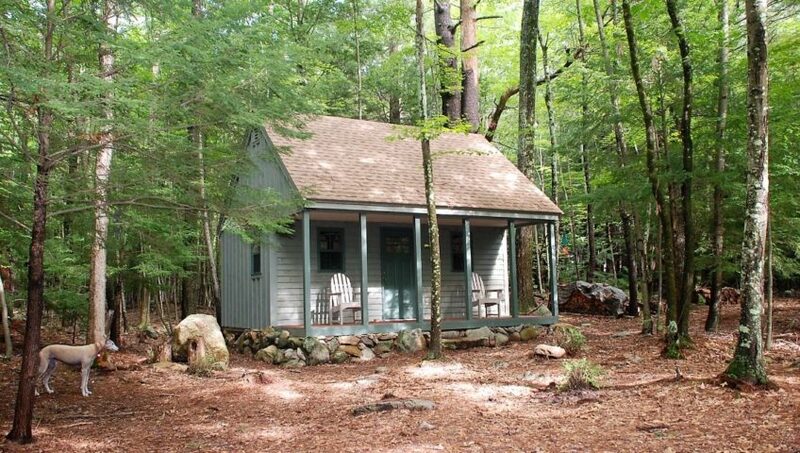 The primary model for houses at the beginning of time, we gain inspiration by the cabins that dotted the landscapes in New England back in the day. For more information and to get started on your own custom wooden outback cabin, feel free to get in contact with us. Building a custom shed can be one of the most beneficial investments you can make. Not only does it increase the value of your property, but it can also be a useful tool for storage and customized to fit your everyday needs. 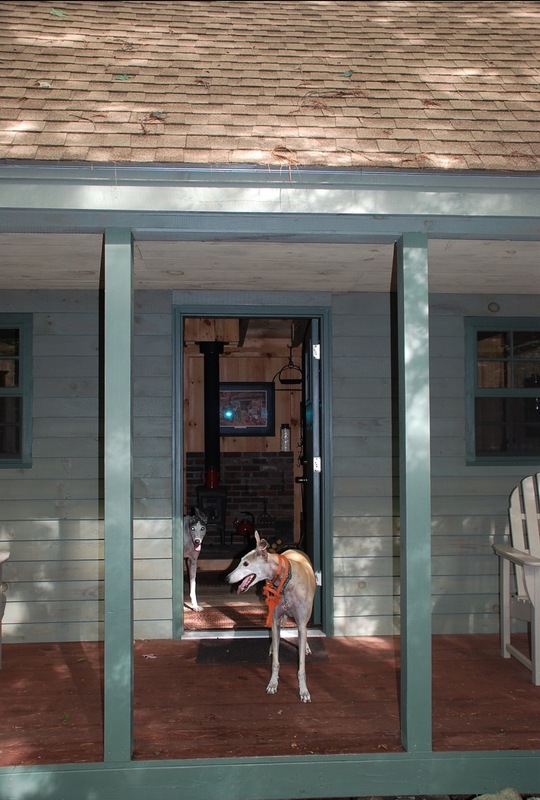 Check out these three reasons to own a custom build shed from Ponderosa Pines Wood Products. By investing in a custom shed, the value of your property can increase and benefit you should you choose to resale in the future. You can custom build your shed for any need. Add additional storage to your home and free up some clutter or design a cool guest house for those staying over. For a cluttered home, a storage shed may be your best solution. Store all your seasonal items away and keep them safe and ready to go for the next year. While the garage is meant to be a place to keep your car safe, often times it can become a place to keep all unwanted items. This leaves you little to no room to store your vehicle. With a storage shed, you do not have to worry about much upkeep. With custom sheds you can choose the material used in the build. With materials such as stainless steel, your sheds will be able to withstand the elements without the risk of rust. All you would need to do is sweep the shed occasionally and ensure your locks are in proper condition. Get started today on your custom built shed with the help from Ponderosa Pines Wood Products. We’re Going to the Topsfield Fair Oct 2-12! 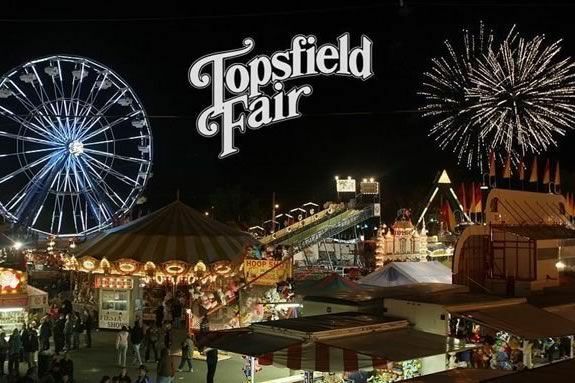 From October 2-12, we’re going to be at the Topsfield Fair! Website & Marketing By Sly Nerds. © 2018 Ponderosa Pines Wood Products. All rights reserved.